A survey of the history of a country that has disappeared and the recovery of its history and language, focusing on a particularly traumatic episode: Pope Innocent III's crusade against the Cathars. 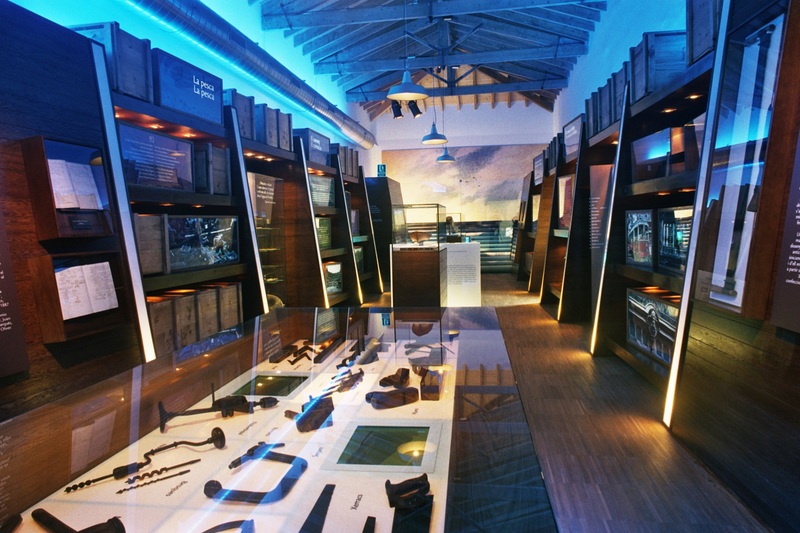 The Museum of the Sea was commissioned by the government of the Balearic Islands. Instead of building a large entirely new building, the proposal was based on creating a Master Plan dividing the program across several locations that would provide new uses for old buildings and offer new tourist activities in different towns in Mallorca. 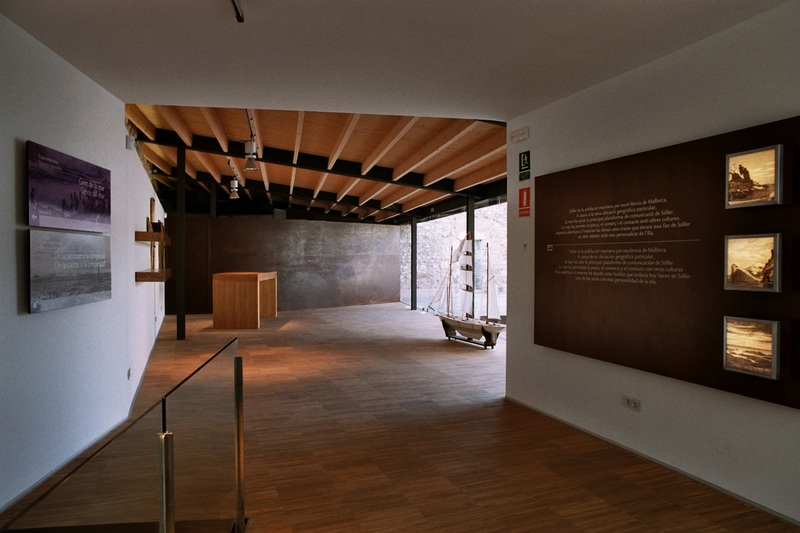 The Sóller museum was the first to be carried out. Sóller sits in a very special location in Balearic geography. Until the railway was built, it was faster to travel from Palma to Marseille than from Palma to Sóller. As such, we aimed to conceptualize the town as an island within an island – a territory that, in spite of its situation, has had powerful connections with the exterior throughout its history. 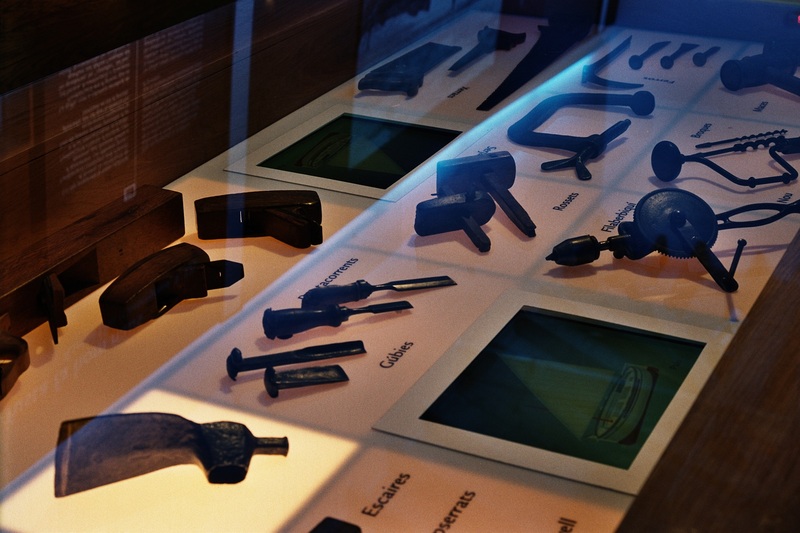 The exhibition on the first floor is divided into three phases: first, Sóller – an island within an island; then, the tools of the master carpenter and the construction of the llagut, a traditional Balearic boat; and, finally, the sea and the relationship with other towns, as well as migratory movements, since those who returned brought advances and caused changes in the language and the artistic and architectural forms. 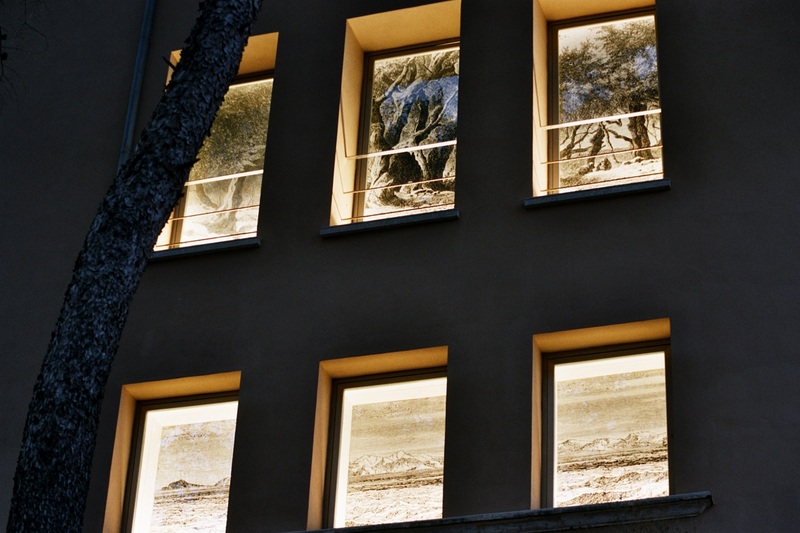 The space creates a forced perspective toward a view of the sea, like an effect in Baroque theatre. It’s as if we’ve left Sóller on a trip out into the world and come back home again. In the final part, there is also an interactive display that shows words and their phonetics in the Mallorcan dialect of Catalan, which includes a large number of Gallicisms due to these migratory movements. 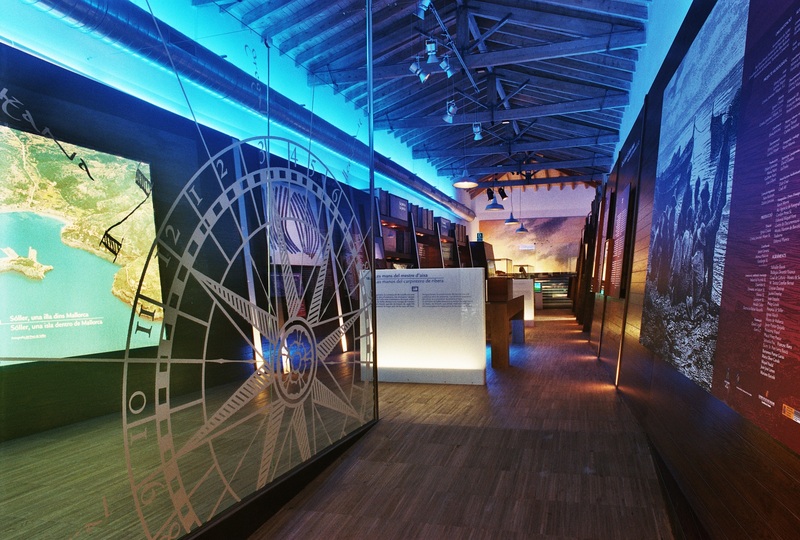 On the lower floor we find an audio-visual display about Sóller’s relationship with the sea, produced specifically for this museum. 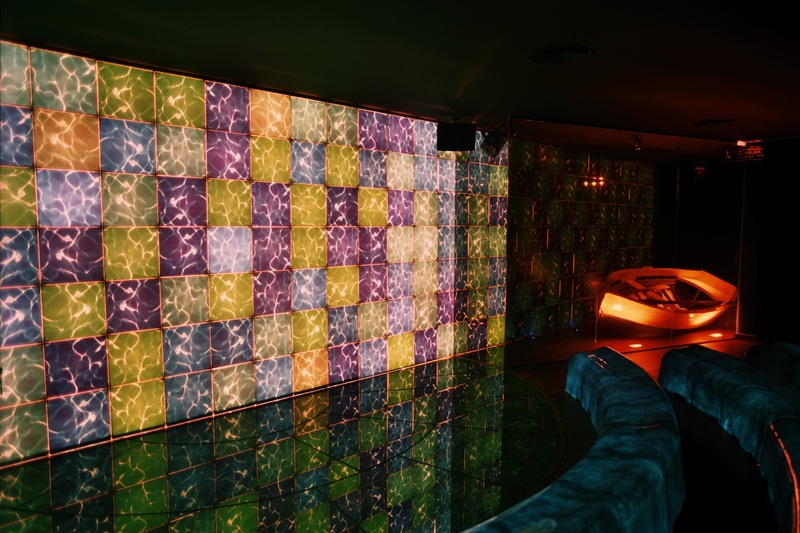 The room is entirely designed to coordinate with the audio-visual display. The benches are made of resin that is back-lit; along with the mirrors on the sides, it creates rings of water and light. 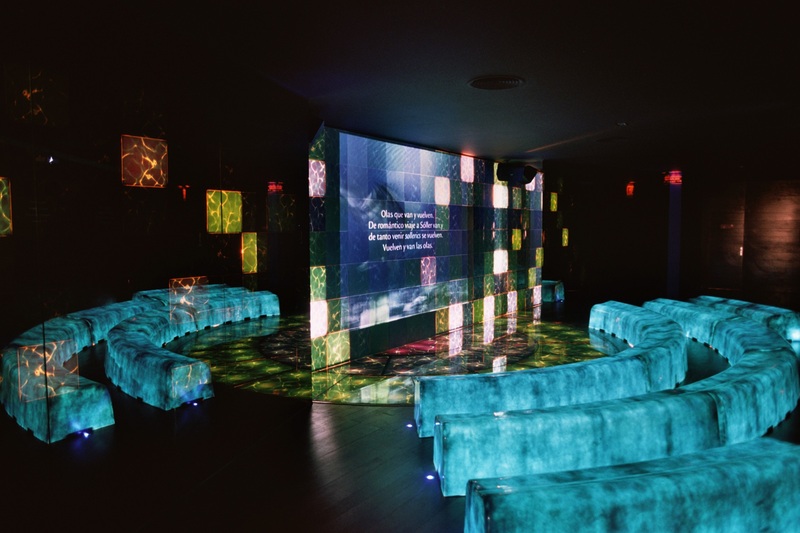 Each transition in the audio-visual presentation is marked by a falling drop of water, which causes a ripple in the space through the play of light. Once the audio-visual presentation finishes, the lights are turned on and the two lateral two-way mirrors become urns, where we can observe a boat and other objects related to fishing.